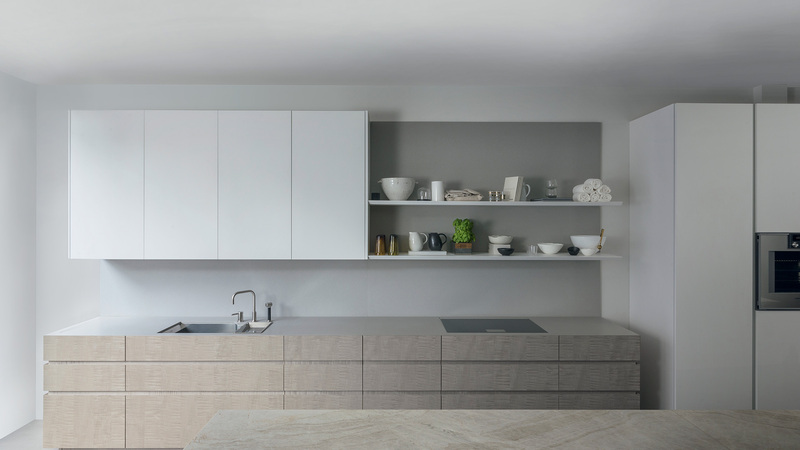 A linear wall-mounted composition with quartz worktop and bases made of Sycamore wood essence, combined with cabinets, open-style elements and white lacquered columns. 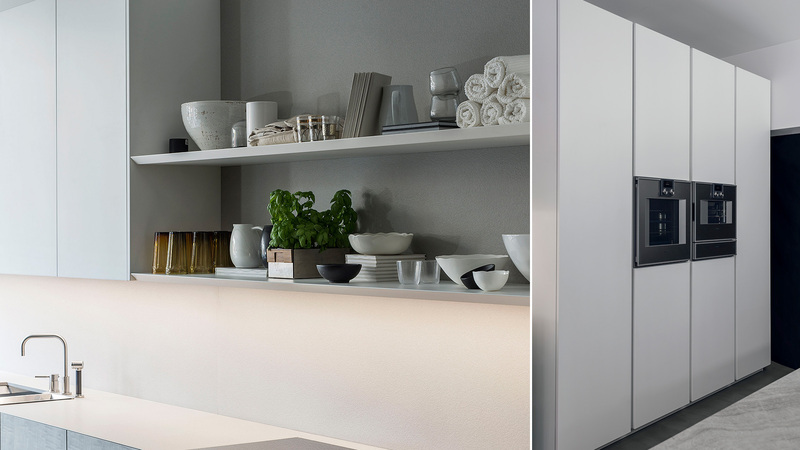 The kitchen project develops on a linear composition with bases on T45 Evo concept and columns developed on K6 concept. 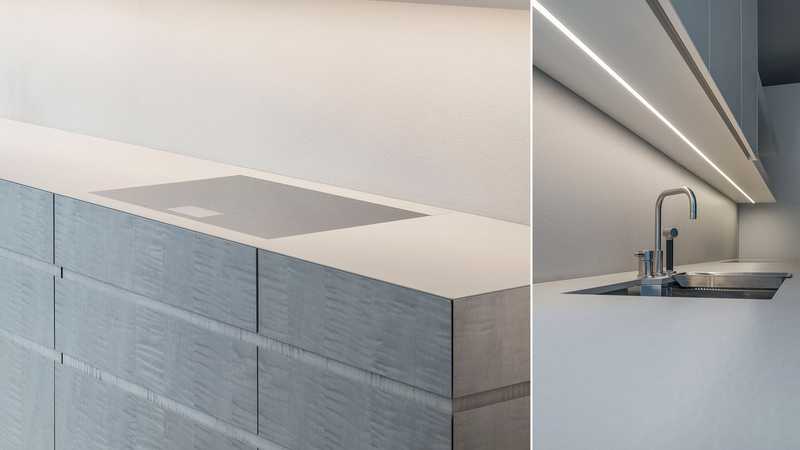 The quartz worktop is tapered at 45°and, in contact with doors and fronts made of Sycamore wood essence, creates a perceived minimum thickness. The worktop houses a stainless still sink, an induction hob and a descending hood. The splashback is also made of quartz; the cabinets and the open-style elements of the composition are white lacquered. Moreover, the open-style elements are equipped with continuous LED lighting for 450 cm. The project is completed by a columns composition with white lacquered finishes that integrates 2 ovens and a fridge.